Relax Individually Or Together … A Couples Delight! 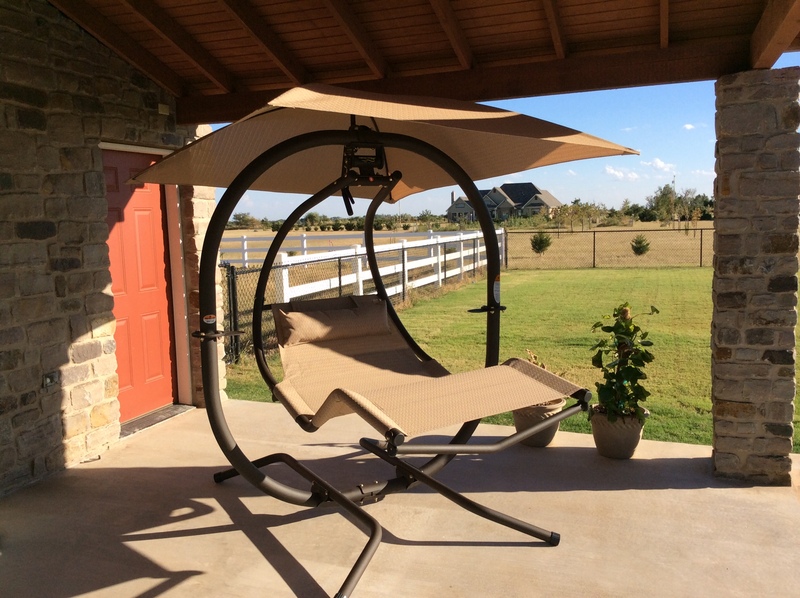 The Sunset Swings 421L Hammock Swing is a great swing to take advantage of a scenic view of the backyard, city lights, or the ocean while you’re cuddling with someone special. 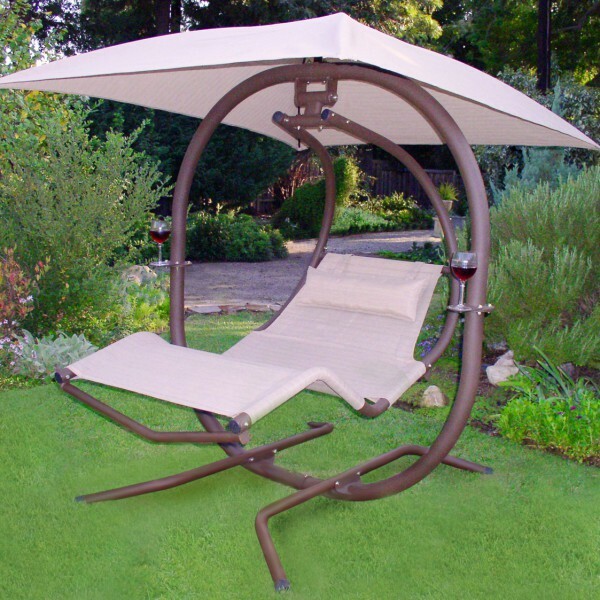 You can decorate the swing with plants and accessories or you can add lights, misters and speakers to the canopy. 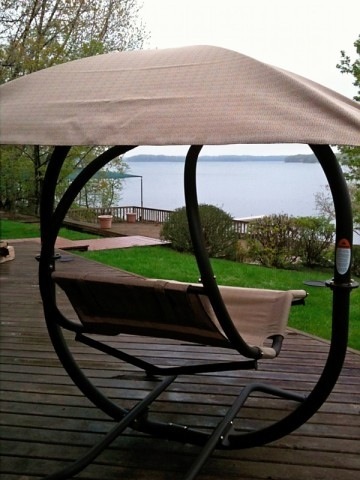 Sit outside with a glass of wine and enjoy your view! Unlike the stiffly bolted hinges of most swings, this model sways gently on 2" precision sealed, whisper-quiet, steel ball bearings that ensure smooth, uniform movement and never need maintenance. The seat is made from a breathable PVC fabric which is contoured the give the body a weightless feeling. 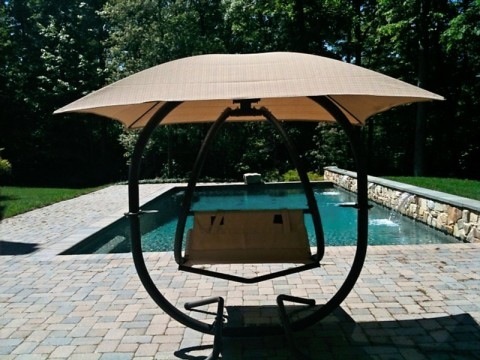 The included matching canopy is durable, UV resistant PVC fabric and covers 6' x 7'. The pendulum frame is 3" diam. heavy-duty 11-gauge tubular steel electrostatically coated in a resin powder finish that resists chips and scratches. All frame bolts are a hefty 1/2" and are treated with anti-rust sealant. 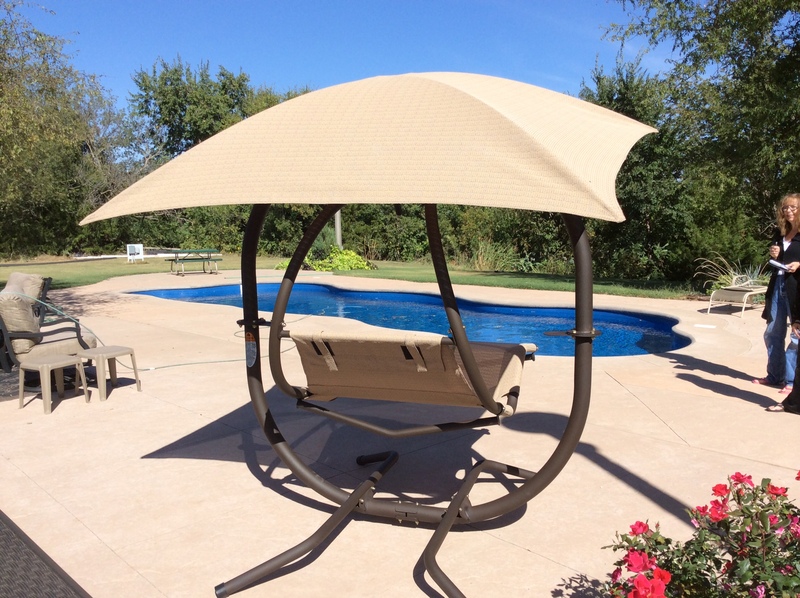 *New standard feature: 5 position adjustable canopy! Sunset Swing Specs: Seats 2 people on one swing. 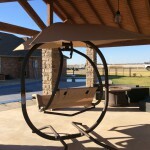 Sunset Swing Frame: Heavy-duty 3" round 11 gauge and 14 gauge tubular steel. 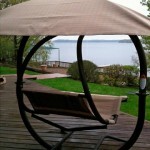 Sunset Swing Powder Coated Finish: Polyester Electrostatic Resin powder coat offers a durable, low maintenance finish. 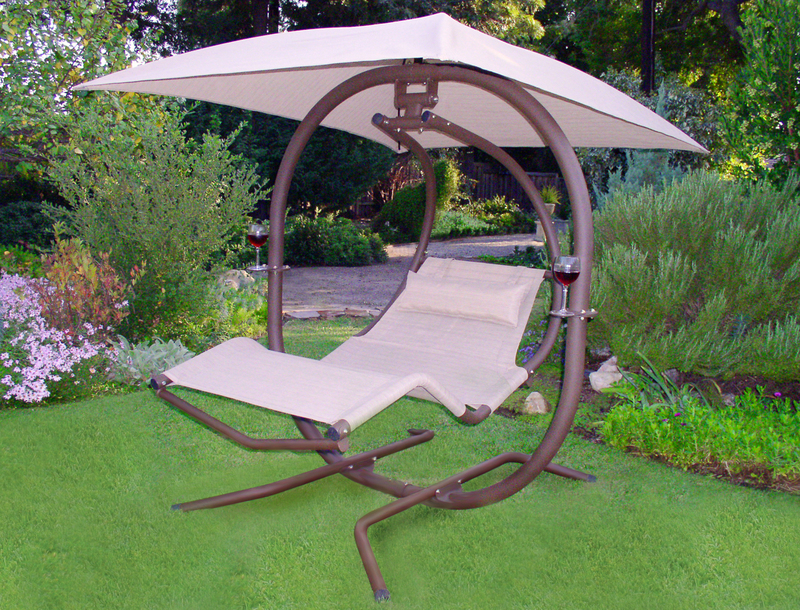 Sunset Swing Parts: Hardware consists of 1/2" anti-rust coated bolts. 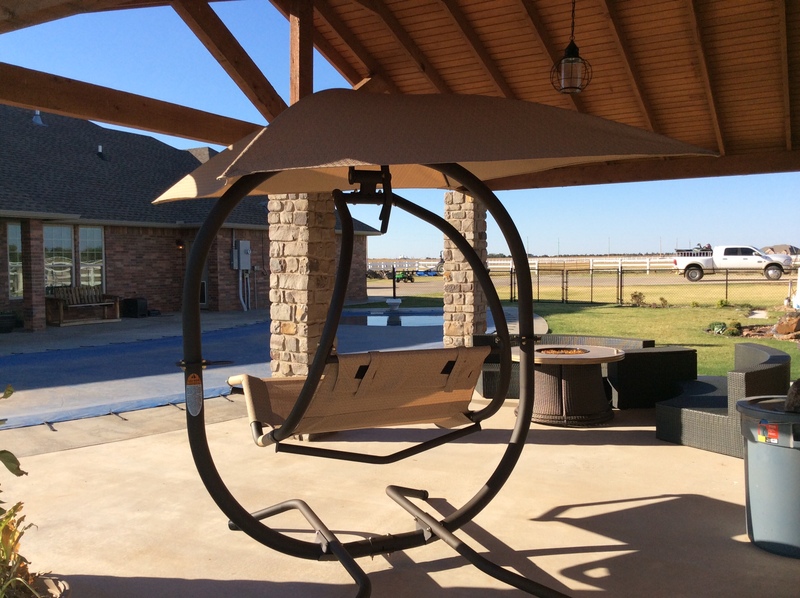 Sunset Swing Pivot Points: The pivot points have 2" precision sealed steel ball bearings, to ensure a smooth and relaxing motion. 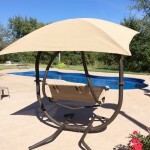 Sunset Swing Seats: The seat is made from a breathable PVC fabric which is contoured the give the body a weightless feeling. 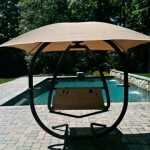 Included Sunset Swings Canopy: The 4' x 4' canopy is also made from breathable PVC fabric which is 80% UV resistant. 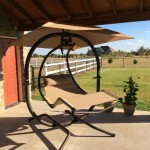 421L Sunset Swing Dimensions: 88" Wide x 78" Long x Height 85" User Space: 88" Wide x 96" Long x Height 85"
Pendulum swings provide a calm and relaxing motion. 421L provides a secure movement without lateral motion. Installation available in the many metro areas.